Highlights: Linkage of terrestrial ecosystem service models for sedimentation to coral reef ecosystem service models both within ARIES (recreation) and with other linked models for coral health, fisheries, and coastal protection. Coral reefs provide important economic benefits to society, such as shoreline protection through wave buffering, recreation sites for diving and snorkeling, nurseries for commercially and recreationally important fish species, and cultural heritage values for various groups including native Hawaiians. Key conservation challenges for coral reefs include their spatial connections to upland, terrestrial ecosystems and the influences of climate change on marine environments. 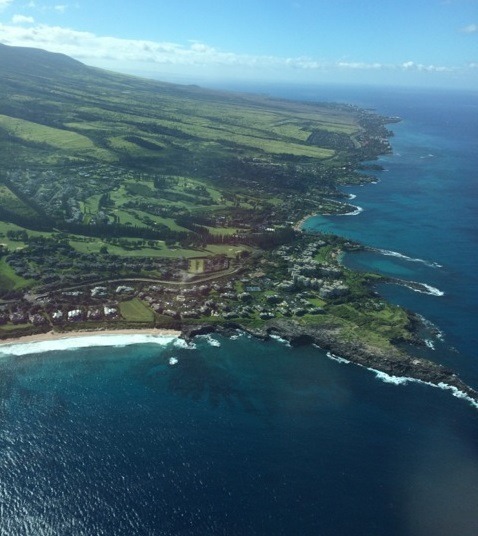 In this project, we are working to measure and map these ecosystem services and their threats for West Maui. We use mixed modeling methods that link biophysical processes (e.g., coral reefs ecological functions, modeled using the Coral Reef Scenario Evaluation Tool, CORSET) to ecosystem services (using the ARIES and Integrated Valuation of Ecosystem Service Tradeoffs, or InVEST, models). We will use the results of these models in combination with coral reef valuation studies to more accurately assign economic values to coral reef ecosystem services (i.e., as criteria to describe ecosystem service flows that support more accurate economic value transfer). When linked to appropriate data sources, these tools will serve as building blocks of an ecosystem service modeling approach that we ultimately intend to test and apply in other Pacific Island settings.